Summer Nightastic! 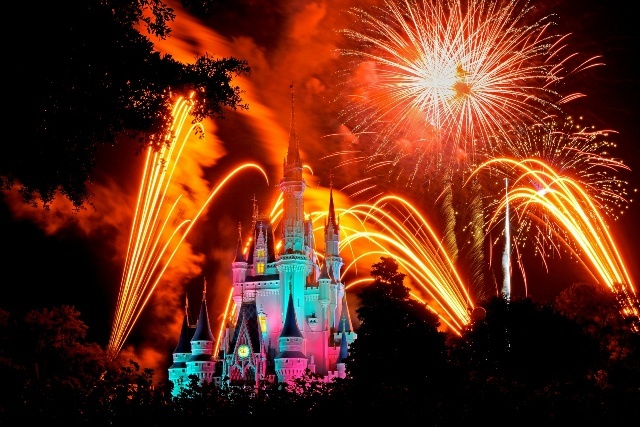 Fireworks Spectacular debuted in the Magic Kingdom on June 5 2010 as part of the Summer Nightastic! summer season at Walt Disney World. The firework show is based on the 'Magic, Music, Mayhem' show that was performed during the after hours event 'Disney's Pirate and Princess Party'. Summer Nightastic! Fireworks Spectacular is the first Magic Kingdom show to use perimeter fireworks during regular park hours show. Perimeters had previously only been used during after hours hard ticketed events.